In 1970 work was begun on the extension of Interstate 275 into St. Petersburg. The first segment extended Interstate 275 from its temporary end at Martin Luther King St N to just south of Roosevelt Blvd. An interchange was constructed at Roosevelt Blvd. (FL 686) and much of Roosevelt Blvd. from Ulmerton Road to just east of 16 St N was brought up from a two-lane rural highway to a four-lane highway when Interstate 275 was constructed. The rest of Roosevelt Blvd. 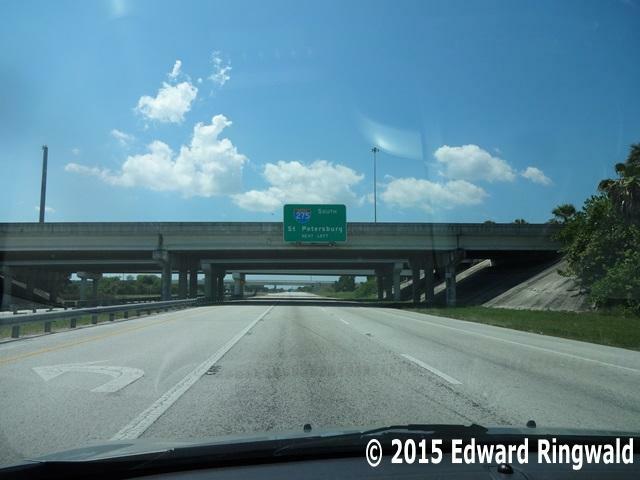 east of 16 St N was brought up to four lanes when Gandy Blvd. was realigned in 1977. 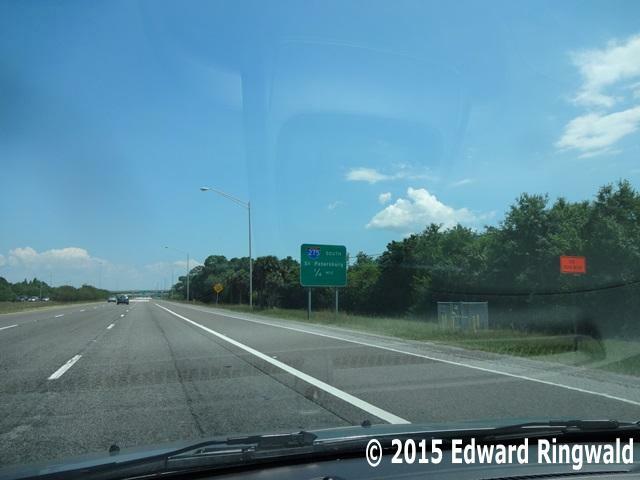 When Interstate 275 was built this area was nothing more than open wilderness. Today Roosevelt Blvd. is a major commute route for those that work in the Carillon office complex as well as the major companies that dot the sides of the highway. Traffic backups on Roosevelt Blvd. are very common, especially throughout the morning and afternoon rush hour, which is why you see signage warning motorists to reduce speed on the flyover ramp from northbound Interstate 275 to westbound Roosevelt Blvd. and that congestion is expected in the morning commute hours. 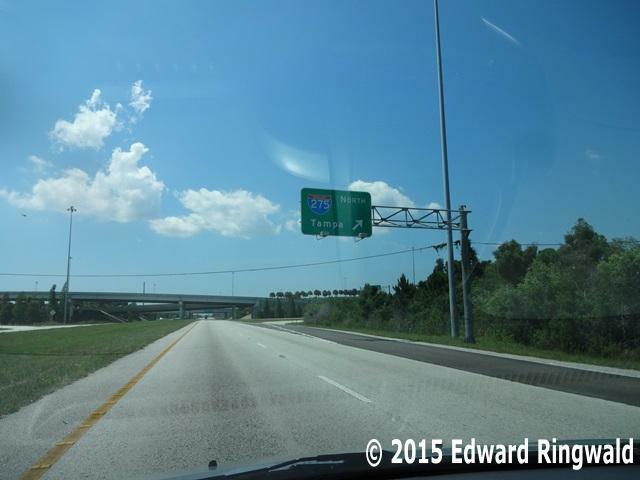 Exit 30 features an elaborate exit and entry system, as it is a complete interchange. Northbound Interstate 275 motorists headed to the Carillon Office Park or to Largo or Clearwater have the advantage of using a dedicated exit ramp obviating the need to cross Roosevelt Blvd. at grade to make a left turn from northbound Interstate 275. In 2002 ramps were constructed allowing access to Interstate 275 from the new CR 296 corridor, commonly known as 118 Av N. Motorists can enter Interstate 275 from CR 296 to either go southbound to St. Petersburg or northbound to Tampa, as well as exit Interstate 275 from either direction to head towards central Pinellas County including Seminole; the ramp connection from northbound Interstate 275 to westbound CR 296 was constructed and opened in 2011 together with a free flow from Interstate 275 directly onto westbound CR 296. CR 296 free flows from Interstate 275 onto 118 Av N westbound. However, eastbound traffic on CR 296 desiring to enter Interstate 275 must do so through an at grade signalized intersection with 31st Court North. However, there are plans in the future to make the connection between St. Petersburg and Clearwater via the Bayside Bridge (CR 611) easier by converting the ramps into a mainline with interchanges at CR 296 proper (118 Av N) as well as Ulmerton Road, as well as upgrading Roosevelt Blvd. 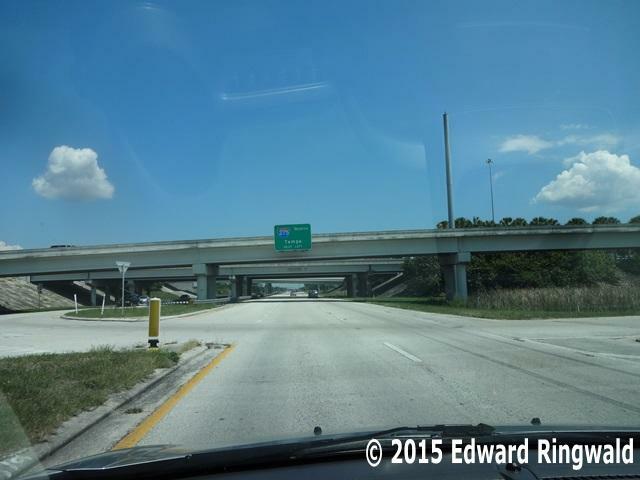 north of Ulmerton Road past the St. Petersburg-Clearwater International Airport to the interchange with 49 St N and the Bayside Bridge including a flyover from southbound 49 St N to eastbound Roosevelt Blvd. CR 296 is a relief commuter route for motorists wishing to access destinations in the central portion of Pinellas County and who do not wish to dread the commute on Ulmerton Road. CR 296 was created by the union of three different roads in Pinellas County – 118 Av N, Bryan Dairy Road and 102 Av N. Seminole can be reached via CR 296 from Interstate 275, as well as Morgan Fitzgerald Middle School and Pinellas Park High School via 66 St N. Unfortunately, CR 296 does not go all the way to the beach communities unlike Gandy Blvd. and Ulmerton Road which do. Constructed: 1971. CR 296 connections built in 2002 and 2011. Interstate 275 segment: South of Martin Luther King St N to south of Roosevelt Blvd N. This is the first segment of Interstate 275 in St. Petersburg. Notable Points of Interest: Carillon Business Park as well as many of Pinellas County's major employers are reached via Roosevelt Blvd. Seminole as well as Morgan Fitzgerald Middle School and Pinellas Park High School (via 66 St N) are reached by CR 296. Good to Know: Roosevelt Blvd. used to be a two lane highway which went in a northwest-southeast direction providing access to Gandy Blvd. as well as 4 St N in St. Petersburg from Largo and Clearwater and vice versa. Roosevelt Blvd. 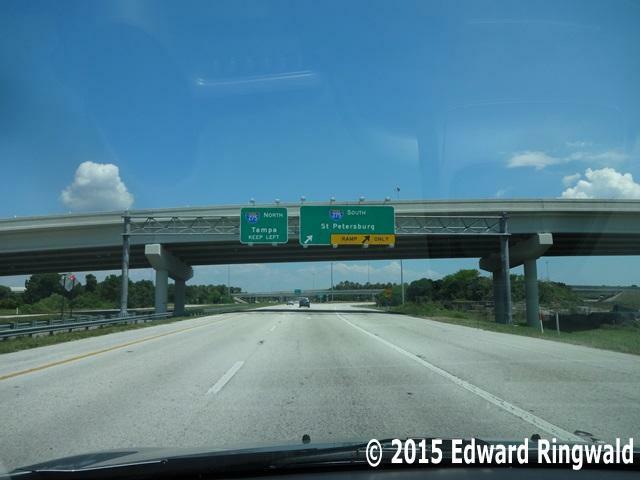 was realigned when St. Petersburg-Clearwater International Airport was built and again when Interstate 275 was built. Moreover, Roosevelt Blvd. 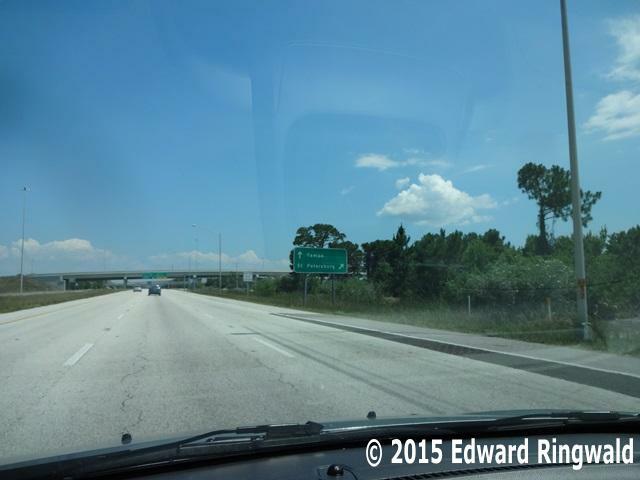 was four laned in the mid-1970's along with the Gandy Blvd. realignment project taking place at the same time. CR 296, an important relief route for central Pinellas County motorists, is the union of three different roads: 118 Av N, Bryan Dairy Road and 102 Av N when the bridge over Lake Seminole was built. The original Bryan Dairy Road from 66 St N to Starkey Road was a two lane highway.